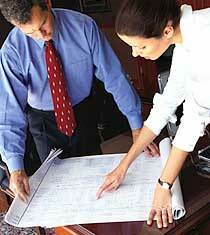 IPSG provides full tenant coordination/construction review services for either owners or tenants. IPSG can develop construction criteria for owners, coordinate owner or tenant architects through the plan review process and expedite the issuance of building permits to enhance rent commencement dates and occupant/tenant move-in. Punch list preparation and review ensures the timely and adequate completion of a project. IPSG can also administer tenant allowance requests and payments.